We also have OTHER CLUB CARS, EZ-GO & YAMAHA Electric or Gas Carts in stock with carts starting from R25000. 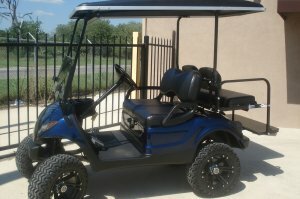 We have a large variety of colors, decals & pin strips to completely change the appearance of your golf cart and make it like new. …Carts looking new with so many additional accessories.